Come fly the SouthWest! It's time to mark the calendar and arrange for some time off! CTFlier.com is proud to host the 11th Annual CT/LSA fly-in in Page Arizona. OCT 17-21 (Wed-Sun). Come and join a great group of people for a fly-in in one of the most scenic areas of the World. See Monument Valley, the Grand Canyon, Lake Powell, Bryce Canyon, Zion and more! It's a casual affair with organization and direction for those who want it... or you are free to fly and explore as you wish. Besides flying, there's great hiking, boating, and many different tours. And we've arranged 32 Hotel rooms with a great rate! (Clarion Inn). All aircraft are welcome! More info is available at CTFlier.com, and we'll keep you updated here as well. Less than two months away.... start planning for your best fly-in ever! Any pireps on how the event went? It was cancelled due to weather. CharlieTango wrote: It was cancelled due to weather. Bummer. 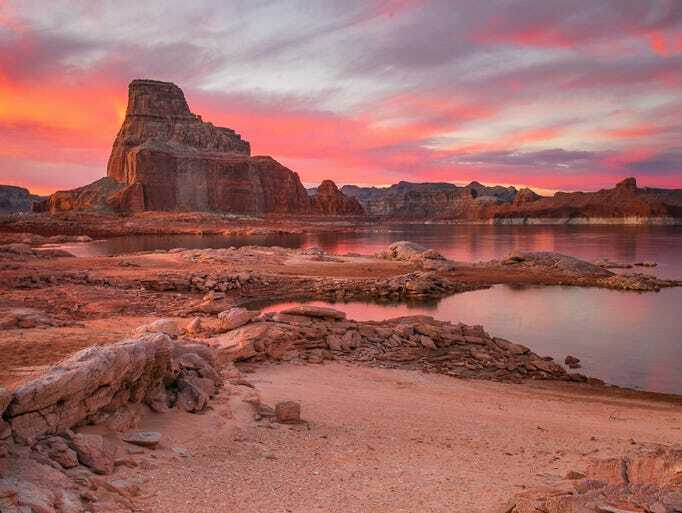 Page and Lake Powell make for an awesome venue.